approaches each building as distinct, presenting unique opportunities. As Residential Architects we believe in simple solutions based on individual dreams, honest materials, orientation, color, and textures of the site. We seek to produce contemporary and interior designs that function smoothly and surprise, encouraging thought and discussion about the structures around us. We work with our clients to explore their personal architectural needs and desires. 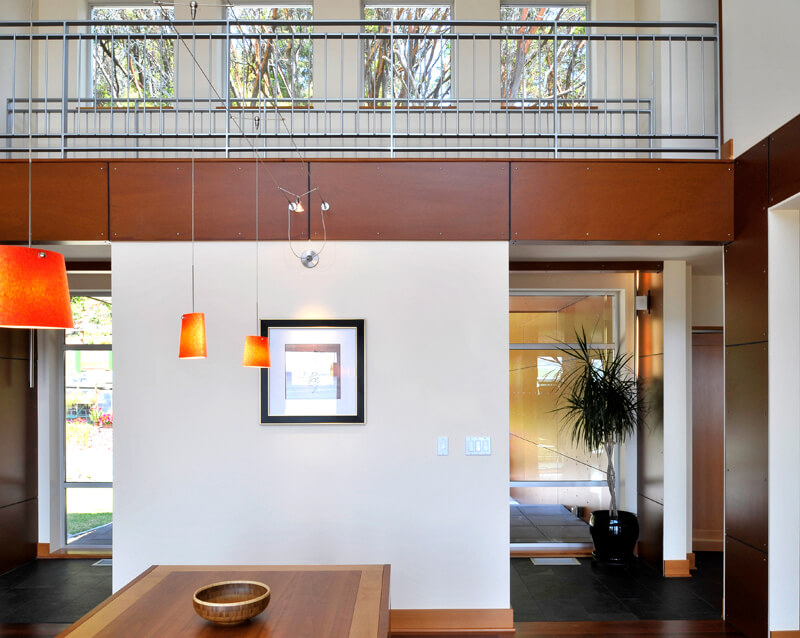 We believe that residential architecture should accommodate the people who use it. Our work is current yet incorporates traditional elements and materials. We seek to create warm, comfortable spaces that embody the local craft, climate, and a human sense of shelter.